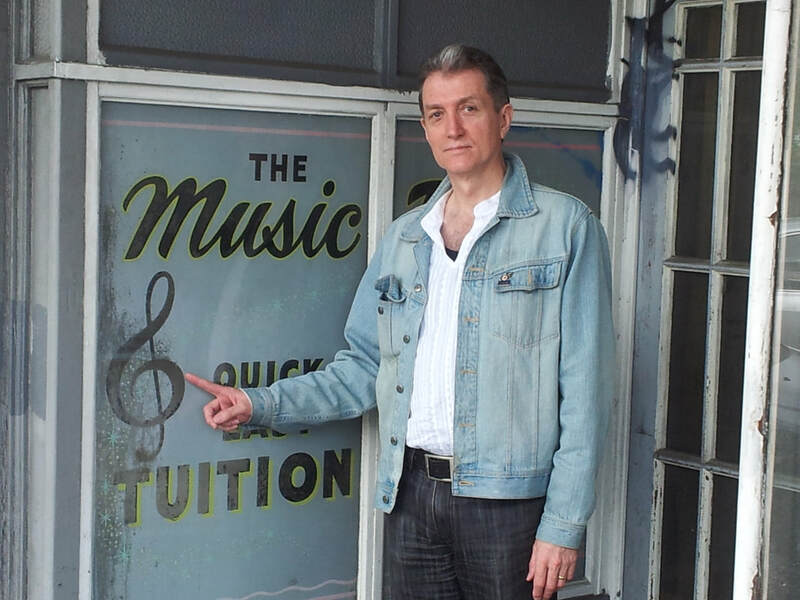 Music Teacher and Studio Manager Stephen Galvin LTCL BMus BA MMus [Hons.] Dip. Tchg. is a multi-instrumentalist who teaches contemporary and jazz, drums, guitar, bass, singing, music-reading and music theory. Based in Parnell, close to the Auckland city centre, he is an experienced, qualified and registered teacher. He grew up in a musical household with two brothers playing drums and guitar, and a sister who played bass. His early influences include blues artists such as John Mayall, Clapton and Hendrix, alongside classic jazz artists Miles Davis, Mahavishnu Orchestra, Dave Brubeck, Stanley Turrentine and others. Aged seventeen he toured with classic rock band Gratis Kinetic and began teaching music in 1981 at the New Zealand Guitar Academy teaching courses in Lead and Rhythm. He established his own studio in 1984 and has taught thousands of Aucklanders several instruments in many styles, including jazz, pop, rock, country, orchestral, classical, and gospel. Some of his ex-students are now teachers themselves. He has performed in musical theatre productions of West Side Story, Chess, The Pyjama Game, Rock Nativity, Jesus Christ Superstar and others. He wrote two musicals for the stage, and played several seasons with The Auckland Concert Orchestra. He has performed with many Auckland musicians including Richard Adams, Bruce Aitken, Phil Broadhurst, Grant Chilcott, Alina Fedorova, Miguel Fuentes, Kara Gordon, Richard Ghent, Alex Griffiths, Benedict Hagar, Jim Langabeer, David Lines, Don McGlashan, Bruce Morley, Billy Nuku, Fernando Onate, Peter Scholes, Marie Steinway, Neil Stewart, Hattie St-John, Elena Stejko, Trevor Thwaites, and Brian Waddell, bands such as Clearlight, Crystal Silence, Gratis Kinetic, Neon Quaver, Opinion, Rewind, and Sounds of Motown in countless gigs and recording sessions spanning four decades. Stephen leads three bands; The Residentz, the Presidentz and the Stevie G Band. He sings, plays guitar, bass and drums. He has recently performed with Santiago, Isaiah B Brunt, the West City Jazz Orchestra, The Astronauts, Prohibition Big Band, and others. He also teaches guitar, singing, bass and drums in four Auckland secondary schools. "My approach to teaching is simple: to share the joy of making music with as many people as possible as often as possible". Stephen holds a Performer's Diploma from Trinity College London, Bachelor of Music and Arts degrees, a Master of Music degree with First Class Honours, and a Diploma in Teaching from the University of Auckland.